lwps will be funding the freeroll this time. the dafa promotion is on hold for the time being, so you won't need an account to participate. in addition, the free night that you're getting for the one-for-one cabin has to be used by this month. Let us know when is your off days in Feb CNY, we shall held the LWPS 6 on your off days. 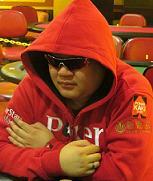 Oh tat's nice to hear... so can take part in the freeroll too...NICE! is there a cabin for 2 persons other than just for 4? kklp wrote: is there a cabin for 2 persons other than just for 4? Most prob I will be coming alone. is there a 1 person cabin or do I have to find ppl to share a cabin with myself? Anybody else coming alone and wanna share a cabin? does this mean that i have registered already? Pls call up the hotline to book your cabin & ferry ticket as well. Hi! since the tournament in on sat and sun. Do i book the ferry tickets for sat morning? What time is registering for the tournament? so sorry please do help with the queries.. Yes, pls book your tickets for saturday morning. There are two ferries one at 8am and one at 10am. Ferry rides are approx 90min and u will be able to make it for the freeroll at 12 noon. Registration for the events open approx 1hr before the schedules start time. At which level does the rebuy for the main event stops? the freeroll is at 12 and ME at 2pm so im assuming the freeroll is only 2hrs max? also wht is the expected duration of the main event? is it possible to catch a morning ferry and after playing, catch the last ferry back? or is it a must to book a cabin?